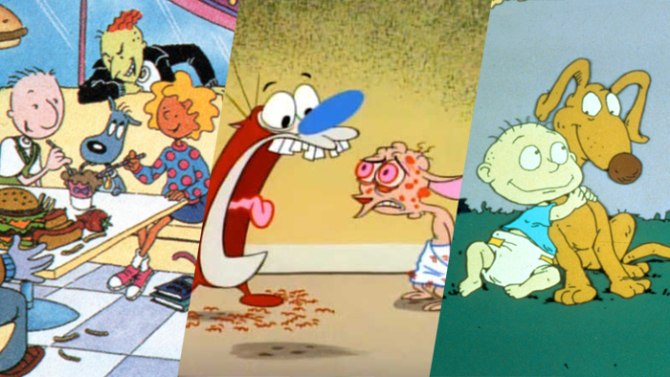 To ring in the 25th anniversary of Nicktoons “Rugrats,” “Ren & Stimpy” and “Doug, Variety has an article up about several behind-the-scenes tidbits that have gone mostly unknown. Arlene Klasky, co-creator of Klasky-Csupo and “Rugrats,” confessed that she never really liked Angelica, finding her and her signature catchphrase, “You dumb babies!,” “too mean.” She admitted to the New Yorker that the original “Rugrats” creative team struggled to keep the show edgy while also appropriate for children, and that the Angelica conflict was the reason for the team’s breakup. Tagged 2d Animation, 2D Animator, 90's animation, 90's cartoons, Nickelodeon, The 90's.